Discussion in 'Announcements' started by Kiri, Apr 1, 2018. The Event will work quite differently than most of any servers. Each hour, there will be an event call in the chat enquiring you to type "/event" in order to join the Easter Present Hunt Event. Once you type "/event", you will be added to the list of players that will participate in the event. After the minute of notice, all players that were entered in this event will be warped to the Easter Present map and receive 5 minutes to find the presents on the map. You can repeatedly enter the map until you find all 30 presents (this is subject to change). 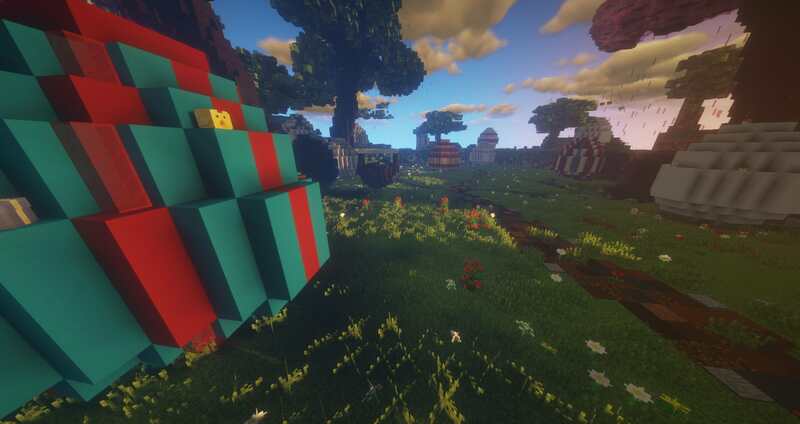 The map is filled with presents containing goodies like mcmmo levels, money, points, and more. The event will be active shortly after this edit is made, enjoy! If you already had a chance to check out the new Easter Crate, you may have noticed an odd line of lore on some of those items. The lines "Blast", "HellForged", and "Springs" represent new custom enchantments we are introducing to the server. Each custom enchantment adds a new enchantment to Minecraft that aren't normally seen. Now, what the heck does Blast, HellForged, or Springs even mean? Blast - The blast enchantment blows up a 3x3 hole whenever you mine, this powerful enchantment allows you to mine or dig out areas faster than ever before. HellForged - The HellForged enchantment works quite simply, any item with this enchantment will fix itself while you walk. Springs - The spring enchantment is one of the more exciting and relevant enchantment to Easter day. This enchantment allows you permanent jump boost while you are wearing this item, allowing you to jump as high as any rabbits can, perhaps even higher! There are two events prepared for Easter. One will be similar to what happened before, you can obtain "Easter Bunny's Chocolate" from certain crops at a chance to exchange them for a key! Another event, an Easter present hunt, will come by or before tomorrow, April 1st 5 pm EST. More details about the Easter present hunt will be posted at the time of release. Now, you may be wondering, why 10 this time? The drop rate on these chocolates are higher than the Leprechaun's Gold, hence you will come by these little pieces of excitement a bit more often while farming to lessen the repetitiveness of farming. If you don't want to wait for these keys to become available, they are always keys up for grabs at the store. With the start of this event, there will also be a 20% Easter sale. The Easter sale will end at the same time the Easter crate keys disappear from the store which is approximately 14 days of this post! ItsPandasLyfe and Aury like this.